Flew away from Brandon Brook neighborhood off Valrico Rd. in Brandon, FL around 2pm. 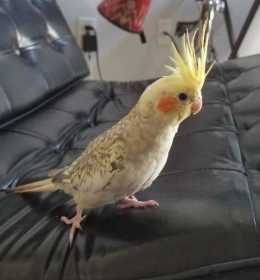 7 month old female cockatiel. Super friendly and will respond to her name. Might fly to someone for food and/or attention.